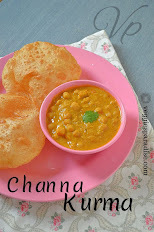 Simple delicious chutney, with very less ingredients and the best side dish with Hot Idli's / Chapathi's. In a blender , along with the tomatoes add the sambar powder, tamarind extract, turmeric powder and salt, grind them well. Heat oil in a pan, add the cumin seeds, when they stop spluterring, add the green chillies, saute for a min,add the curry leaves. Add the puree , cover and cook until the chutney thickens. Aruna,,tomato chutney easy ah irukku nalla idea quick ah samaika nalla recipe dear..idli n chutney hmmm taste nalla irukkum.. The tomato chutney looks easy and tasty too. Great with rotis and dosas. Instant chutney looks great and look at the soft idly at the backdrop,great! 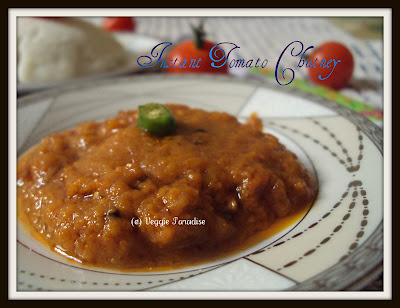 Aruna, great instant tomato chutney, will taste perfect with idlis.. The tomato chutney looks easy and tasty too. Great with rotis and dosa. Instant tomato chutney looks really nice. I make some time for idly and dosa. Looks yummy !!! Thanks for sharing. 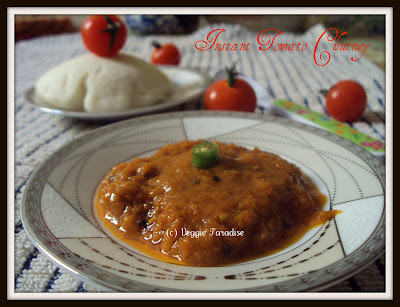 Nice and instant tomato chutney.I too do this with chutneys when time is a constraint.Looks very delicious. 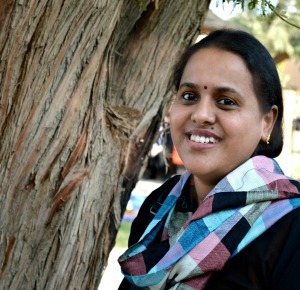 simply superb aruna.i must try this .thanks. Love the idea of using sambar powder in this chutney..Chutney looks great, perfect with idli/dosa..
Kalakal intha instant chutney Aruna..super!